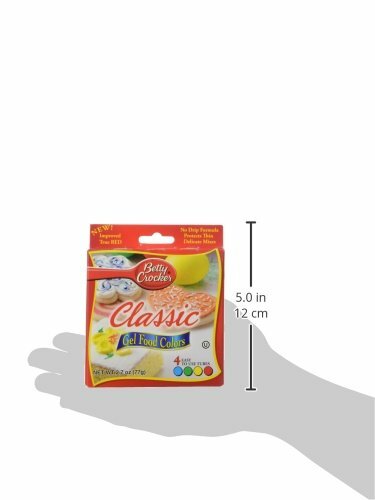 For use in coloring cookie dough, icing, and cake batter. 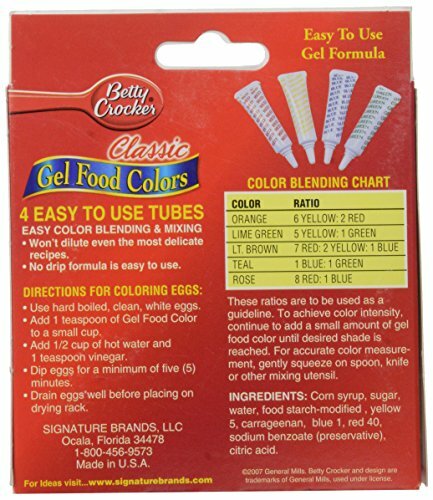 Easy-to-use tubes for easy color blending and mixing. Won't dilute even the most delicate recipes. No drip gel formula. 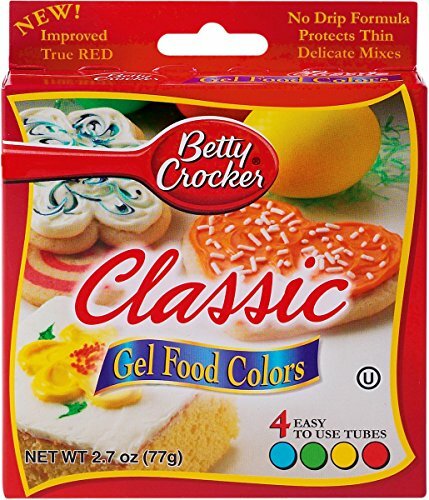 This 4.25x5 inch package contains four tubes of gel food coloring in blue, green, yellow and red. Made in USA.